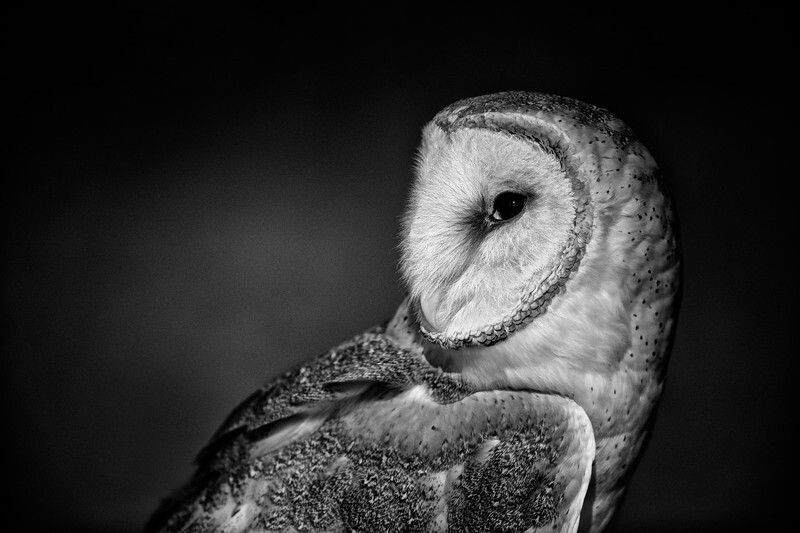 The color version of this captive Barn Owl was too gawdy and crazy. A conversion to black and white did the trick. My favorite part of this image is the soft tones on the side of it's head.